We're all super excited about the release of Insomniac's Spiderman this week. Superhero games are some of our favorite games of all time - from patrolling the streets of Gotham in the Arkham series all the way back to LJN's X-Men masterpiece. Anyway, we want to celebrate the awesomeness of superheroes and the release of our favorite web slinger with our deal of the week! 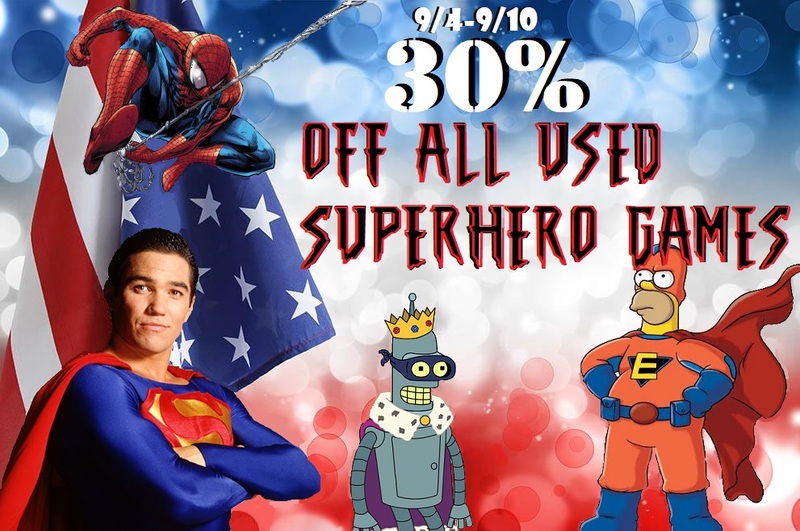 From today until close on Monday, we want to give our customers a bonus 30% off all preowned superhero video games! DC, Marvel, Hellboy, Ninja Turtles, and more are all up for grabs this week only!